Identity Theft: where does this topic stand on your priority list? As a victim of identity theft in the past, I can say I am now MUCH more alert to the subject than I used to be. But that’s the way of the world, right? Instead of taking a proactive / preventative approach to life, we usually say, “It happens” and try to learn from it. Here are the problems with that “reactionary” approach. 2. We never truly learn from it. See this helpful video published by the FTC. When ID theft occurs, who is at fault? Is it the consumer or the business? In the consumer world, take control. Don’t simply throw away documents with sensitive data still on it. Be proactive and shred the information prior to discarding the information. In the Business world, many organizations don’t have secure procedures or systems in place to protect both your ID and theirs. A shredder such as those available from SEM would be a logical first step in the right direction. One would think that with the millions of cases that occur every year, more and more of these procedures would be set into place by our LEGAL system (i.e., the FTC, etc…) as preventative maintenance. Even the smartest consumer, especially during the holiday season, can fall victim to ID theft because businesses are not monitored or regulated to ensure the security of YOUR information. The typical consumer doesn’t think about what happens to the information they gave at the register for that charge card for an extra 10% off their current purchase; or the innocent swipe of a credit card over an unsecured dial tone for that cooking ware Mrs. Doe can’t live without. 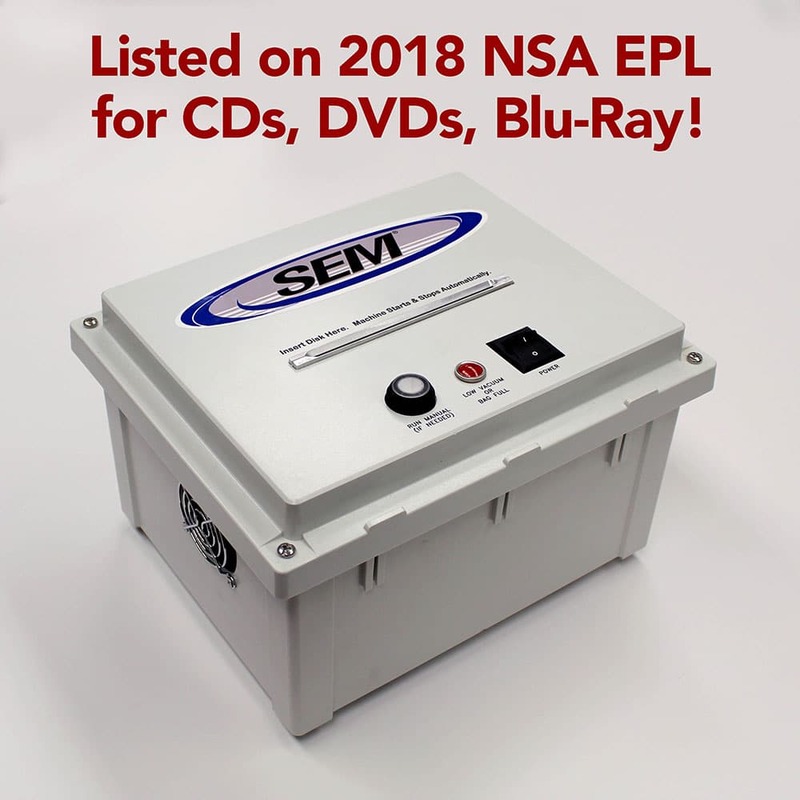 Whether it’s the protection of the National Security Information for the Federal Government or the information from your credit card, SEM’s lineup of Shredding Systems is an effective way of ensuring this sort of information NEVER falls into the wrong hands. Not to say a scare tactic is the best way of communicating the urgency of “destroying” your procrastinating mindset on the subject, but can you – the growing business owner – – afford a high-dollar ID theft lawsuit any given day of the year? Remember …..the “it won’t happen to me” is not a strategy. Be proactive and eliminate the potential huge costs associated with ID theft.